For a limited time, VueMagic™ Pro v2.4 is FREE to download. 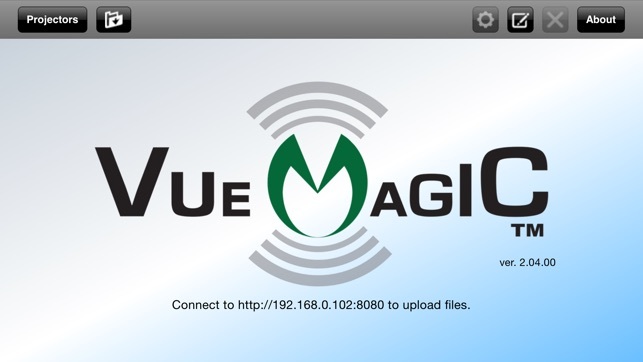 VueMagic Pro v2.4 provides exciting new features as well as other enhancements and bug fixes. 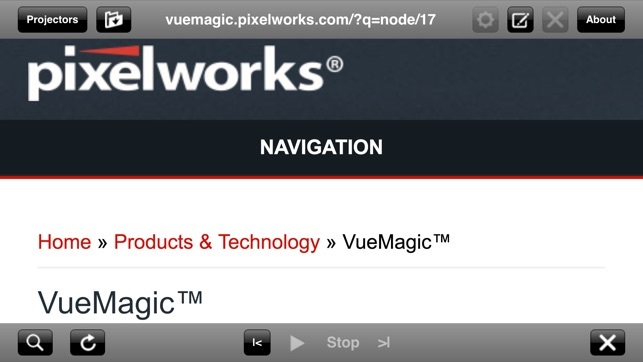 Pixelworks' VueMagic Mobile Presenter allows simple connectivity to projectors using an iPad, iPhone or iPod devices via a WiFi network. 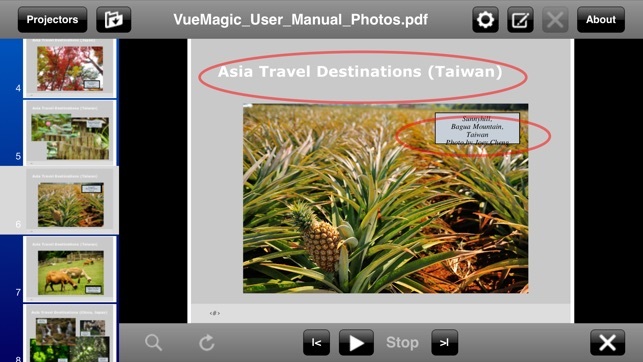 VueMagic Pro v2.4 is the most advanced mobile presenter application for business professionals or educators. Powerful new features provide the ability to have full projector control from the convenience of your mobile device, as well as easy-to-use mobile presentation and annotation capability in a single app. 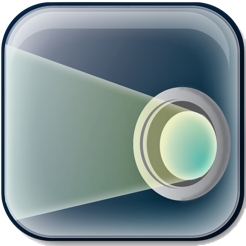 New features in v2.4 include automatic keystone correction to optimize the image, drag-n-drop adjustment of four corner image correction, as well as the ability to control nearly every projector feature using the virtual remote control keypad to adjust brightness, contrast, color, pincushion/barrel image adjustment, keystone correction, remote power-off and much more (VueMagic compatible projector must support these functions). Version 2.4 also includes live video streaming capability using the embedded camera for quick demonstrations or ad-hoc video conferencing. 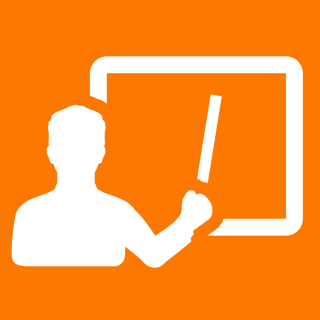 VueMagic empowers business professionals and educators by eliminating the constraints of wired or tethered projector experience using a traditional PC. 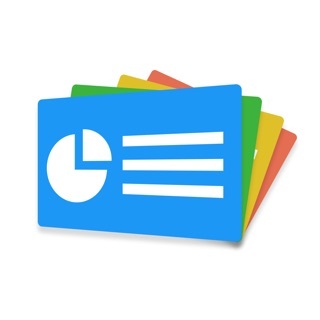 Use the annotation feature to highlight or comment on documents and photos. For professionals, protect sensitive information and documents by utilizing the security functions to control document viewing. And show up to 4 mobile device screens simultaneously side by side one projector for easy collaboration. - Support more parameters of projector control. 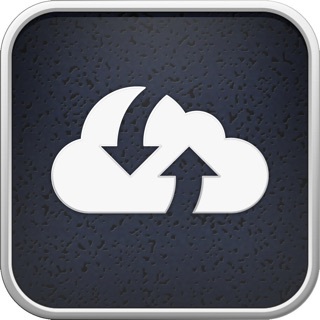 - Video content playback. Coming soon! - Apple, Apple Logo, iWork, iOS, iPad, iPhone, iPod touch are the trademarks of Apple Inc. Please be noted that VueMagic does not work with iOS11. VueMagic App will not work after installing iOS 11. - Support iPhone 6 and iPhone 6 Plus. - Implement new UI of auto keystone.